Journeys into the past through stories, photos, and history. 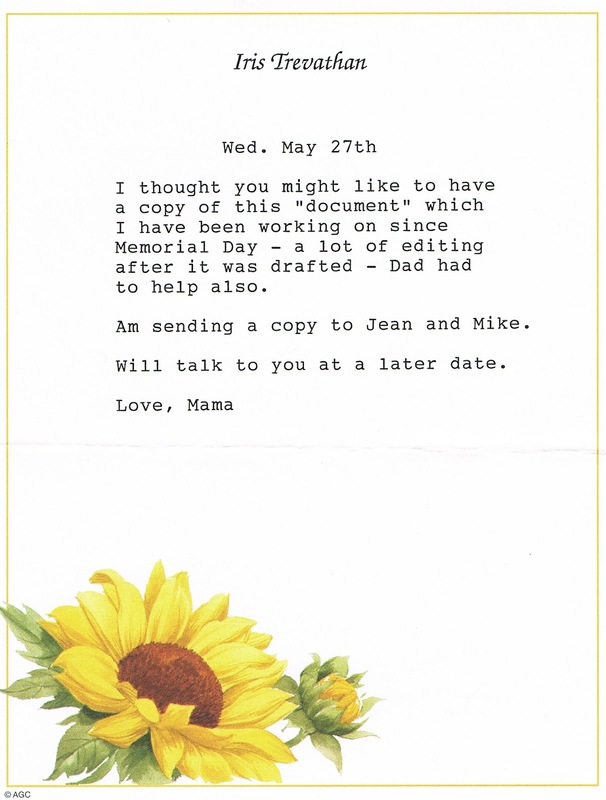 As I was re-organizing some of my genealogy research files I came across this letter from my mother which she wrote on Memorial Day, 1998 to her children. This is exactly as she wrote it. I will let her words say the rest. For some time I have felt that the experiences of my husband during World War II should be recorded for the benefit of our children and grandchildren. So this is what we remember about Curtis Day Trevathan's service (in short form, of course). 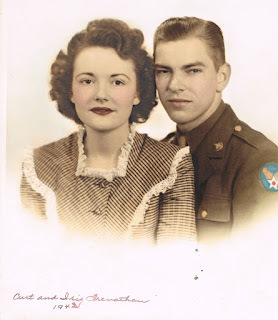 We were married about 2 1/2 weeks after Pearl Harbor Day in 1941, with full knowledge that he would be called to serve his country. We wanted to spend what time we could together before he had to go. 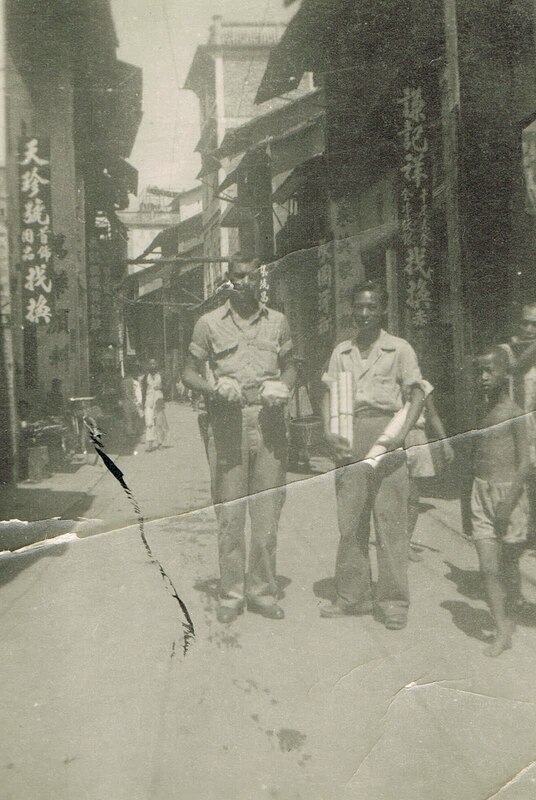 He enlisted the latter part of 1942 in order to get into the branch of service he preferred, the Army Air Force. In January of 1943 he left for Mineral Wells, Tx. for processing. He was then sent to Shepherd Field in Wichita Falls, Tx. for Air Force Basic Training. His next move was to San Antonio, Tx. for Cadet Officers Training. From there he went to Pine Bluff, Ark. for primary pilot training - late into his training there, the Air Force decided they did not need to train more pilots, so he was sent to Biloxi, MI for re-assignment. At each of the places he went to, I followed if he was to be there long enough. Curt was re-assigned to Radio School in Sioux Falls, SD and as you will later realize, this was a blessing in disguise. He was stationed there for about 6 months during the dead of winter - and of course, I followed. Snow! Snow! Snow! Since we had no money, we walked everywhere we went. He was able to leave the base every evening and return early the next morning. It was a new experience for us and we just had fun being together. He was then to be sent to Gunnery School - he was actually boarding the train when he was pulled off and told that he would be there for 6 more weeks. He called me and said "don't leave yet". I was ready to take a train back to Tyler, Tx. What we did not then know was that the FBI had been investigating his background thru acquaintances of the family (we learned this after the war was over). They offered him an opportunity to do something different but would not say what at this point. Anything was better than being a gunner in the Air Force so he blindly accepted. This was an offer to become a part of the Office of Strategic Services (OSS) which was the forerunner of the CIA. 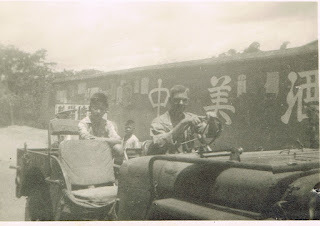 This was organized in WWII and agents were places in all Theaters of Operations. As a result, he was sent to Washington, DC - detached from the Army at that time and sworn into the OSS. The OSS Training Center was his next stop - a camp deep in the woods near Quantico, VA. All personnel were stripped of any ID that denoted rank, etc. He never knew the status of the person next to him. 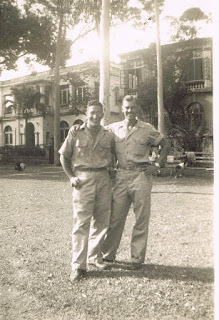 On D-Day in 1944 Curt was on board ship in the Atlantic for England. They were sent to the country at a place called Ailsberry northwest of London to set up operations. His job was sending coded messages to agents in enemy territory in the European Theater of Operations. At times when they failed to get a response from the agent they knew he had been discovered. By the latter part of 1944 the war in the ETO was de-escalating somewhat and Curt was to be sent to the China-Burma-India Theater. 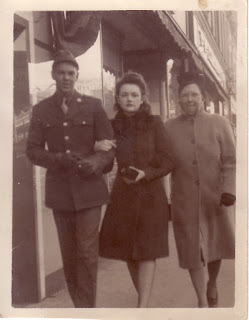 I was expecting our first child in December 1944 and by a stroke of luck my husband was being routed through the States to his destination and managed to get a 30 day leave (all of his group did not come thru the States). He was home when our baby girl, Iris Jean, was born and he had the opportunity to get some rocking chair experience - and we all had a wonderful Christmas together! When it was time for him to leave we took him to Troup to board a train for Washington, DC to get on another train to go to the West Coast to take a "slow boat" to China. Mail was scant and so censored and old by the time I received it the only thing I knew was that he was o.k. at the time it was written - but I had a letter! When President Roosevelt died we all became concerned about the future of the boys in service but Mr. Truman handled everything quite well. After arriving at their destination in the CBI Theater they were transported by truck, flew over the Hump, truck again and finally reached their post which was near a place called Hing-Ning. Not only were these boys in touch with their agents but this field station was an operational center for a gorilla unit. There were 14 men in Curt's group and when the war was over in 1945, this small group had to travel by boat down a river to get out. They knew there were perhaps about two thousand Japanese soldiers along the banks of the river - they wondered "did these Japanese soldiers know the war was over"? This small group went to Canton and were put up in the American Embassy there - in fact, they were in control of Canton at that time. Finally, they got to India to wait for a boat home (everybody was waiting for a boat home) and Curt waited there 6 weeks before he could board a ship for the States. He arrived in Tacoma, Washington and was put on a train again for Washington, DC - upon arrival in DC this group was taken to the Congressional Country Club and feted royally. He called me from there and wanted me to come to Washington for Christmas with him. Our little girl was only a year old and I felt that I should not leave her. Curt was then sent to Ft. Meade Maryland to be sworn back into the Army so he could then be discharged. We did not celebrate Christmas 1945 until Curt arrived home, which was the latter part of December, but we had very wonderful Belated Happy Christmas in 1945! A new start in our lives, as I am sure all service men felt at that Christmas. I know very little about what they did - I did hear a time or two from a buddy in their camp telling me that "Tex" was away but that he was o.k. - I do know their transportation was by motorcycle and they carried a .45 revolver - so I still am very much un-informed. I am very proud of him and thankful the Lord allowed him to return to Jean and me - we later added a little brother, Michael Day, to our family and some time later, another little daughter, Debra Joyce, to complete our family unit. We have been very blessed! the Lord for his safe return. 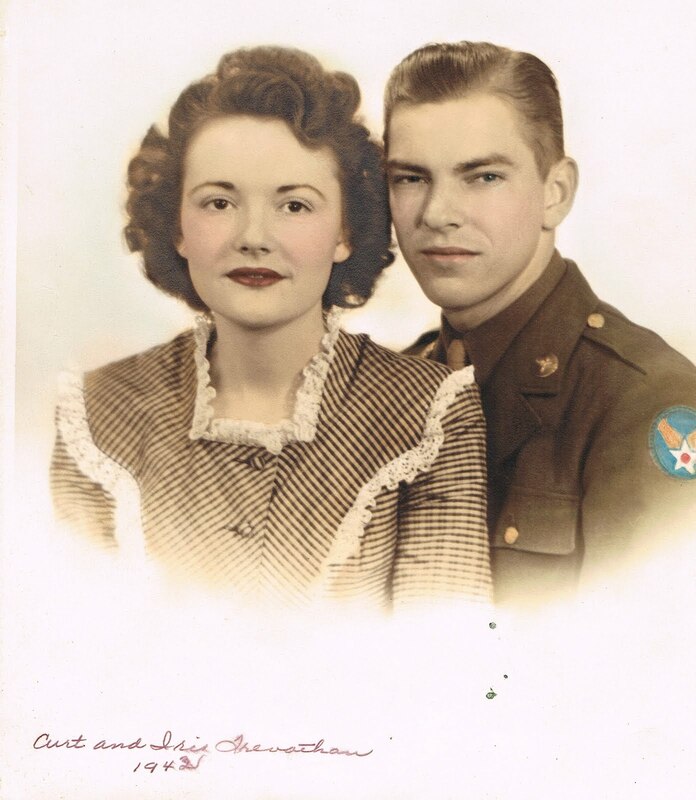 Mama and Daddy were married on December 24, 1941 at the home of Daddy's parents, Harvey and Velma Trevathan in Tyler, Texas. 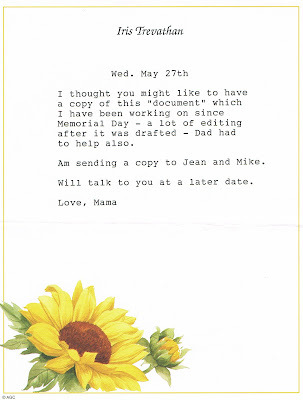 Mama died on December 28, 2006, four days after their 65th anniversary and Daddy died five months later on May 27, 2007. They were never apart again after the war. Amazing. I read this as soon as I saw that you posted it. So grateful that all survived such dangerous endeavors!! Proud to have a grandfather that served over there and other places doing what few would WANT to do. Thank you for sharing. Look forward to hearing more about this in the future. What an interesting journey for them both, so early in marriage and at such an unpredictable time in our country. I suppose they all had optimism and faith that we would prevail! He's so handsome in all this pics and looks so happy!